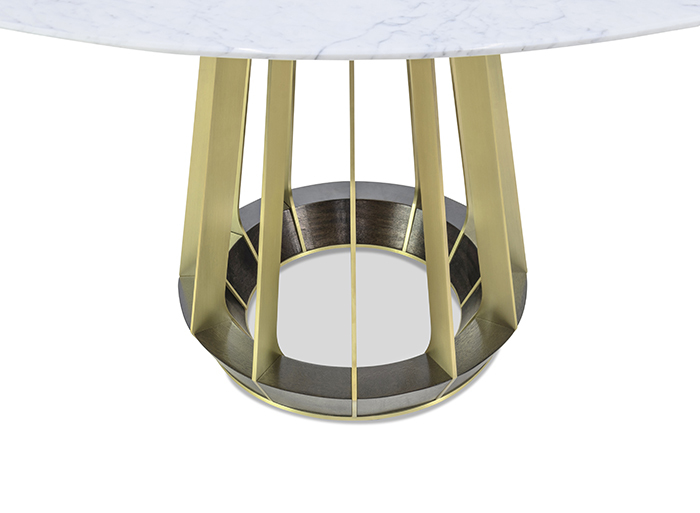 The Sophia Foyer Round is a tribute to pattern and material. 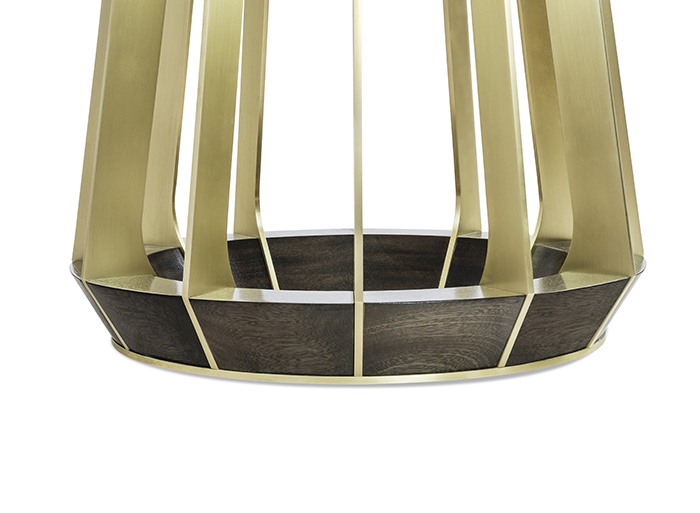 A graceful brass frame slicing through the wooden base creates a striking silhouette from every angle. Available in both wood and stone. 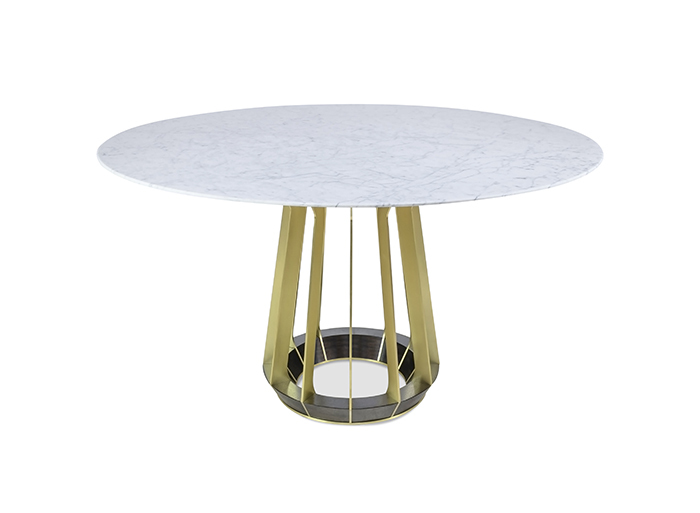 Also available as a dining table, cocktail table and side table.